Private Equity has been around a long time and is broadly considered as any privately held interest in a company, that is to say that is not publicly traded. 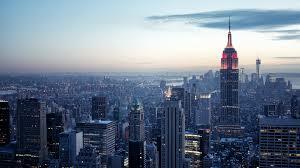 Having said that there are now various Private Equity Firms that are publicly traded. These investments give exposure to Private Equity but allow for much higher liquidity and a smaller minimum investment. Private Equity is used interchangeably to reference the different levels of investment in this field. It can be used to talk about the actual company, the shares of the company or the fund that invests in those shares. 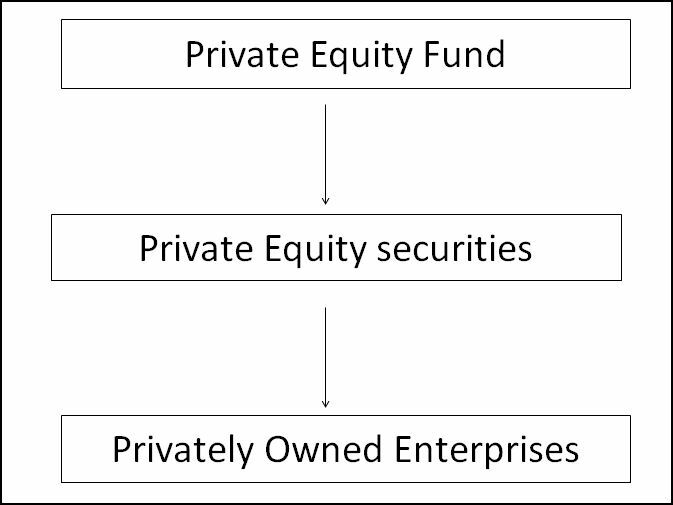 The diagram below shows a flow chart with the breakdown of the different levels of Private Equity. Most Private Equity investment is carried out through Private Equity Funds, these funds are set up by the General partner who then raises capital from Limited partners. These investors are not allowed to take an active role in managing the fund but their liabilities are limited only to the actual money placed in the fund. Once capital has been committed to the fund the manager then proceeds to identify suitable investments. Capital will be drawn down as and when the investments are made, but the investors have to have the capital available from inception of the fund. The investment statement will usually limit or define the geographical areas and industry sectors which will be the focus of the fund. Funds are usually set up to have a life of around 10 years. The first year or two is about identifying the most promising deals, the following 3 to 4 years are for implementing the strategies and the next 2 to 3 years for exiting the investments. Due to the negative cash flows during the first years and long term duration of these investments the returns tend to be negative during the early years of the fund to then gain strong positive returns in the later years, this gives rise to the J-Curve effect. In the Alternative Investment space four types of assets are considered Private Equity, two of which are actually Debt. Probably the best known is Venture Capital, although we dedicate a whole section to this type of investment, they are actually part of the Private Equity space. The other most common Equity type of investment is Leveraged Buyout Funds (LBO), these funds invest in mature companies with stable cash flows. The targeted companies are usually publicly traded where the fund managers see value by taking the company private to implement processes that will increase the share price of undervalued companies. Here the fund manager takes an outright majority stake in the targeted company with the intent of increasing shareholder wealth by improving corporate governance. usually the fund manager will bring in his own new management team, however it is also possible for internal managers to be involved in the Buyout then known as a Management Buyout. The term LBO comes from the high use of debt to finance the acquisition of the company, in some very large deals more than one fund manager may be involved. Leverage is created by the company since it will borrow money by issuing bonds that are backed by the collateral of the company. This high use of Debt compared to Equity is often used to the company’s advantage for tax purposes, sometimes the ratio is as high as 9 to 1, i.e. 90% Debt and 10% Equity. The increase in Capital may also be used to finance new or under-funded operations, the fund manager will over see these procedures with the intent to add value to the funds holdings. This kind of debt is considered Private Equity due to its high level of risk and to the fact that it usually has an Equity component, known as Equity Kicker. This feature offers some kind of participation in the firm, such as a Call option to buy shares of common stock of the company; often mezzanine debt is therefore considered a hybrid. The level of risk is comparatively high to other bonds as the the mezzanine debt, as the name suggests, is situated between the highest and lowest seniority of assets. The Diagram below shows where mezzanine debt is situated within the corporate capital structure. There may be several tranches of mezzanine debt with differing seniority. Companies that are going though restructuring or need extra finance that they can not get from traditional sources, yet do not want to issue new Equity, will often revert to this type of solution. Mezzanine debt is also closely linked to LBO investments as often fund managers will use this type of security to finance the take over of the targeted company and finance growth. They are often known as Story Credits, as often the debt is issued due to a particular circumstance which distinguishes their analysis from standard bond issuance. Most companies that make us of mezzanine debt are known as middle-market companies, that is to say they are bigger than young companies but not as established or as large enough to be able to access institutional financial markets. Their capitalization usually ranges between $200 million and $2 billion. Distressed debt funds invest in the bonds, bank loans or subordinated debt of companies that are in a difficult situation in terms on cash flows. These companies could already be in bankruptcy protection or about to file for it. In other cases they may have defaulted on or be about to default on servicing their debt. The strategy consists of buying these securities at a fraction of face value to then seek improvements in their price. This is done by seeking to improve conditions with creditors, sales of assets or changes in the capital structure of the corporation. Unlike Hedge Funds that invest in distressed debt Private Equity Funds will take an active role in forcing the changes needed to enhance the price of their holdings. For this reason Private Equity strategies in distressed debt are more long term compared to the short term horizon for Hedge Funds. Private Equity managers are engaged in changing the value of the securities by improving the conditions of the company actively. Hedge Fund managers are essentially looking for miss priced securities which should bounce back in value. Usually these bonds originated with a good quality credit rating and deteriorated over time due to difficulties of the borrower. Bonds are commonly defined as distressed when the price is worth less than 50% of face value, or when the credit rating falls below CCC from Standard & Poors or below Caa from Moody’s. These securities have very little liquidity in a secondary market and as would be predictable can prove particularly risky.